Point2 Homes gives you far more than a simple list of houses for sale. Get instant access to a lot of relevant information about Vancouver, BC real estate, including property descriptions, virtual tours, maps and photos. The search results pages also have a wealth of information on Vancouver, BC, if you scroll all the way down. There are 1,811 houses for sale in Vancouver, BC. Searching homes for sale in Vancouver, BC has never been more convenient. 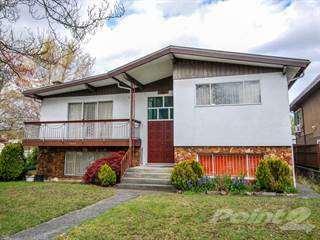 With Point2 Homes, you can easily browse through Vancouver, BC single family homes for sale, townhomes, condos and commercial properties, and quickly get a general perspective of the real estate prices. Also, you’ll never miss a bargain if you filter listings based on house price drops in the past six months. Use the map view to find Vancouver, BC homes and apartments for sale, based on amenities or city features that you may want close by. You can close in on a specific neighbourhood or area by simply drawing around them with the polygon or radius tools. Stay informed about the latest entries on the real estate market by saving your searches. This way, you get new listings in your inbox, daily or every week, based on your preferences. If you’d like to get in touch with a professional, agents are displayed next to their listings, and they’re easy to contact through the online forms. If you want more options, you can click the Tools tab and Find an Agent, and you’ll get a list of helpful and knowledgeable real estate agents in Vancouver, BC. Visit the Point2 Homes blog and you can find up to date expert advice on many markets throughout Canada, regular market reports, neighbourhood scoops in cities throughout the provinces, real estate deals and useful recommendations. Vancouver is a city on the West coast of Canada, in the province of British Columbia. Not to be confused with Vancouver Island, the City of Vancouver is commonly referred to as "Metro Vancouver". Metro Vancouver has a population of over 2,300,000 people and covers 2,877 square kilometres along the Pacific Ocean. South of downtown is the Canada/United States border, making road trips into the United States very accessible. Vancouver is considered one of the most liveable cities in the world, and the third-largest metropolitan area in Canada. In the west side of Vancouver, the neighbourhoods are developed and mature. There are apartments and houses in this section of the city and many students of the University of British Columbia reside here because of the short distance to the school. Additionally, there are many heritage houses in the area of Arbutus Ridge. Vancouver has many professional sports teams for sports fans to enjoy. Their professional football team called the BC Lions play at BC Place and they’ve won the Grey Cup six times. The Vancouver Canadians bring the sport of baseball to the city for all to enjoy at the Scotiabank Field at Nat Bailey Stadium. Perhaps one of the more popular teams, Vancouver is also home to the Vancouver Canucks who bring one of Canada’s most popular sports to the city. Along with sports, Vancouver has many family-oriented activities. There are a variety of parks and attractions to visit where you’ll create fond memories that last a lifetime. In Kitsilano’s Vanier Park, there are a few museums to visit such as the Museum of Vancouver and the H.R. MacMillan Space Centre for those who love to learn. Some other attractions that can be found are the Kids Market as well as Playland that provide hours of fun. Vancouver is the hotspot for adventure. With close access to mountains and waterways, it’s easy to get away from the hustle and bustle of everyday life. Adventurers can find themselves on Vancouver Island by boarding a plane or a ferry, to spend a weekend relaxing or leading their own adventure. If you’re more into winter sports, the mountains surrounding Vancouver can provide the perfect opportunity for sledging, skiing, snowboarding and more. Vancouver is made up of 23 areas. Each of these areas offers different surroundings to residents so that they are able to find the perfect place that suits their lifestyle. Central Vancouver is home to the Downtown area, where there is an abundance of businesses and many places for entertainment and venues. BC Place, home of the BC Lions is also located here. The West End area serves as a recreational area within walking distance of Downtown. Chinatown is located within Strathcona, the oldest residential neighbourhood in Vancouver. This is the epicentre of Chinese culture in the city. Yaletown and Gastown serve as some of the trendiest spots in Vancouver, making them the place to go for the best bars and nightlife. East Vancouver is a magnet for young professionals and it is another culturally diverse section of the city. Many individuals from these two groups reside in the community of Kensington-Cedar Cottage as well as the Hastings-Sunrise community. East Vancouver also includes Riley Park, home to the Vancouver Canadians. West Vancouver has a mix of heritage homes, and middle to upper-class neighbourhoods. Some areas within West Vancouver include Arbutus Ridge, Kitsilano and Kerrisdale. Areas like Kitsilano and West Point Grey are home to shops and beaches. The west side of Vancouver is about a 10-20 minute drive to Downtown Vancouver. South Vancouver has an impressive mix of residential and commercial areas. This is a very multi-cultural area with a high population of Jewish (Oakridge area) and Indo-Canadian (Victoria-Fraserview area) residents. Some other areas that comprise South Vancouver include Marpole and Renfrew-Collingwood. 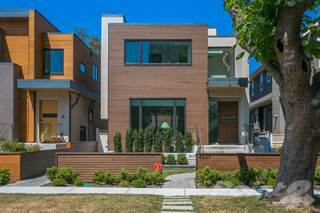 In South Vancouver, there is more space for houses to have backyards. This is due to the communities being very family-oriented. Heritage houses can be found here and there is an abundance of houses with rental units within this area as well. Central Vancouver is filled with apartments due to the set-up of the area. There are both high-rise and low-rise apartments here. This presents many options in regards to affordability and preference. 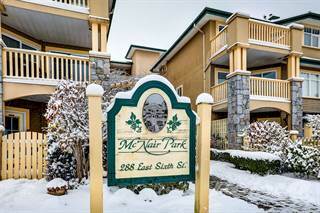 There are also condominiums, lofts and townhouses within Central Vancouver. East Vancouver has something for everyone. There is a mixture of older and newer houses that can be found here. There are also a good amount of walk-up apartments and houses with rental units. The younger demographic is attracted to this area not just for the affordability, but also the community culture. Vancouver provides a variety of housing options for the homebuyer in regards to preferences, ideal locations and much more. From apartments to houses that are situated in vibrant communities, Vancouver has a fit for everyone. As one of the most educated cities in Vancouver, it is no stranger to offering education at the highest level. There is a wide range of universities and colleges that each offers their own specialities. For example, the University of Vancouver places a heavy focus on innovative scientific research. Algonquin College, on the other hand, excels in the fields of contemporary arts and trade work. When it comes to elementary schools in the K-8 range, Vancouver has an impressive 220 public schools and 75 private schools that provide children with a very high level of education. Amongst the highest-ranked in reading, writing and math include Edouard-Bond, Elmdale, Mutchmor, and Hopewell Avenue. Many of these schools are home to international academic competitions and initiatives that provide students with opportunities to advance their knowledge and skills beyond what is taught in the classroom. Vancouver has three leading industries: Tech, Digital Entertainment, and the Green Economy. Each of these industries has grown rapidly, and some of the world’s largest companies such as Hootsuite, Nintendo, and Slack have placed offices here as a result. Additionally, Vancouver serves as Canada’s Asia-Pacific Gateway, which in turn provides economic growth. Vancouver has a diverse selection of talent. The external environment motivates and encourages creativity. Often referred to as “Hollywood North”, it is evident that Vancouver is a hub for some of the most talented people in the country and internationally. Gaming, production, animation companies have offices in Vancouver to hire some of the greatest talents in their industry because they know that Vancouver can provide it. This creates more jobs for the citizens of Vancouver.